When the history of the 2016 presidential race is written — if it is written well — it will note the remarkable role played by the African American vote. It will also note the role of the establishment, including well-placed allies and a significant portion of the media, in keeping the African American vote in a pre-ordained slot: Hillary Clinton’s camp. Hillary Clinton had a fact, an opportunity, and a problem. Bernie Sanders was surging in national polls, but she was managing to hang on to a huge majority of the black vote, which plays a large and increasingly important role in the Democratic primaries and caucuses. If she could retain the black vote in overwhelming numbers, she could hold back Sanders’s surge. But there were a few big problems. Bernie Sanders’s issues go to the heart of what ails much of Black America. The Bill-and-Hillary record on a number of critical matters, from the incarceration of black youth to the best way to aid struggling black families, youths, single mothers and the unemployed, was at best mixed. In contrast to Sanders, she is saddled with her closeness to the financial community that has wreaked havoc with the lives of African Americans who are struggling economically. This coziness with representatives of the One Percent goes well beyond delivering well-paid speeches to Goldman Sachs. Clinton also has been a pumped-up, eager hawk on military action — a position generally unpopular with African Americans, for whom military service has often been a job opportunity of last resort, with the obvious consequences to life and limb. Many other reasons for African Americans not to identify closely with Clinton can be found. 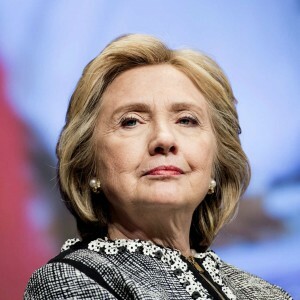 She knows this: that’s why she worked so hard to publicly associate herself with President Barack Obama and his policies — though in reality she and the president differed on a number of key points, including her avidity for foreign intervention. The clincher, though, was surely the revelation that, at the same time the young Hillary Clinton was a proud Goldwater Republican in the early-mid sixties, the young Bernie Sanders was getting arrested as a supporter of civil rights. The contrast between the candidates’ history on this issue posed a potential disaster for Clinton: if she could not hold onto the African American vote, according to almost all calculations, it was hard to see how she could win the nomination. And so the Clinton PR apparatus, as formidable as any, went to work. The media keeps saying that “Black folks just love Hillary.” And the Super Tuesday returns from certain southern states seemed to bear this out. Yet these victories in states that Clinton is unlikely to carry in the general election may not necessarily carry over to potential battleground states such as Virginia, Michigan, Missouri, North Carolina and Ohio, where African Americans are a sizable part of the Democratic electorate . If a big turnout of African American voters did not materialize for Clinton in those states, her candidacy would be in deep trouble indeed. The record shows that young Bernie Sanders was a dedicated civil rights activist. He gave speeches in the freezing Chicago winters, he demonstrated for desegregated schools, he participated in Martin Luther King’s march on Washington. And, in 1963, he was arrested while protesting segregated housing at the University of Chicago. Education protests in Chicago have been making national headlines for the past few years, but the roots of these protests can be traced back to the early 1960’s and the citywide school boycott that emptied half of Chicago’s schools. It was one of the largest Civil Rights demonstrations in the north. Despite the mandate of Brown vs. the Board of Education, Chicago Public Schools remained segregated and inadequately resourced. Overcrowded black schools sat blocks away from white schools with empty classrooms. To deal with the overflow but avoid integration, CPS Superintendent Benjamin Willis ordered the installment of mobile unit classrooms on the playgrounds and parking lots of these schools. Dubbed “Willis Wagons,” they outraged the community, leading to a massive boycott by 250,000 students. Other cities soon planned similar demonstrations. It’s not hard to imagine the impact that news of Sanders’s front-line presence in the great civil-rights confrontations of the 1960s might have on African American voters who, until now, have had no reason to think of him as involved in that arena. Nor is it hard to imagine how important it would be to Clinton backers to neutralize that impact. June, 2015: The Sanders campaign puts out a video with an image of the young Sanders leading a sit-in at the University of Chicago to protest segregated housing for students (the campaign ad was premiered in June/July to Iowans but published online July 25th). February 11, 2016: Washington Post columnist Jonathan Capehart writes a piece titled: “Stop sending around this photo of ‘Bernie Sanders’” (with Sanders’s name in quotes to emphasize the idea that the photo was not Sanders). That same day, Rep. John Lewis (D-Ga.), a legendary civil-rights leader (and close to the Clintons), also questionswhether Sanders was involved with the civil rights movement (see below). February 11, 2016: Mother Jones publishes an article with photos of vintage news articles from The Maroon (University of Chicago) and the Chicago Tribune, confirming Sanders’s arrest. February 21, 2016: Boston.com publishes “Newly found video shows Bernie Sanders getting arrested in 1963.” You can view it here. This reminds me of something I covered in my book Family of Secrets: how the Bush family reacted when backers of Vietnam War hero-turned-peacenik John Kerry attacked George W. Bush, architect of the Iraq invasion, for having disappeared when he was supposed to be doing his (safe, stateside) military service during the Vietnam War. The Bush campaign — with brilliant dirty tricks performed at a safe distance for deniability — turned around a difficult situation and buried an inconvenient fact about W. that could have cost him key support in battleground states. Is the Clinton campaign doing the same thing? This little skirmish over a 52-year-old photograph may seem inconsequential on its face. But it touches on an issue that is central to the nomination fight. If Sanders did protest on behalf of the interests of black people while Clinton was a young Republican supporting the subtly racist campaign of Barry Goldwater, and if Sanders’s lifelong crusade on behalf of the poor and the oppressed was fully communicated to black and Latino voters, Hillary Clinton might find her base not so dependable. And, as reported by the New York Times, although African Americans are turning out for Clinton in very high percentages in the primaries, high enough to damage Sanders, they are not turning out in high numbers — heralding a crisis that could devastate the Democrats in November. Expect even greater efforts by the Clinton camp to prevent Sanders from getting this story out as the campaign reaches break-point. But will the media provide the analysis voters deserve?